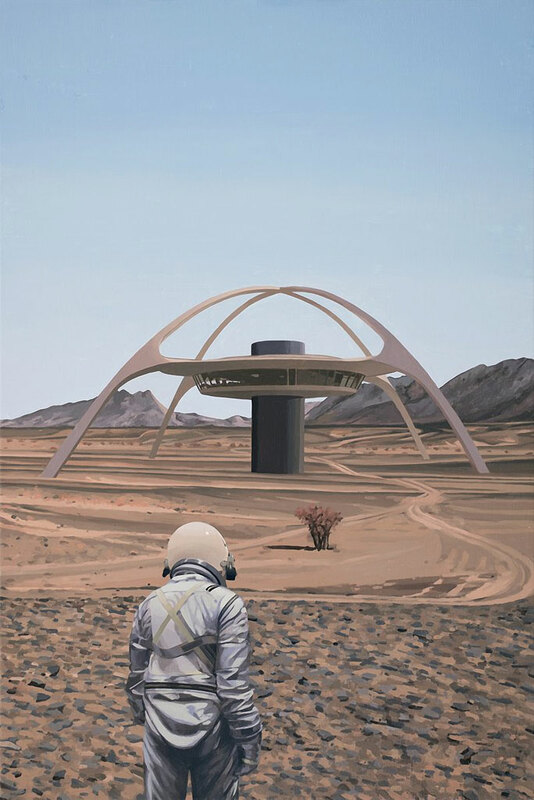 New paintings by artist Scott Listfield of a lone exploratory astronaut lost in a landscape cluttered with pop culture icons, corporate logos, and tongue-in-cheek science fiction references. 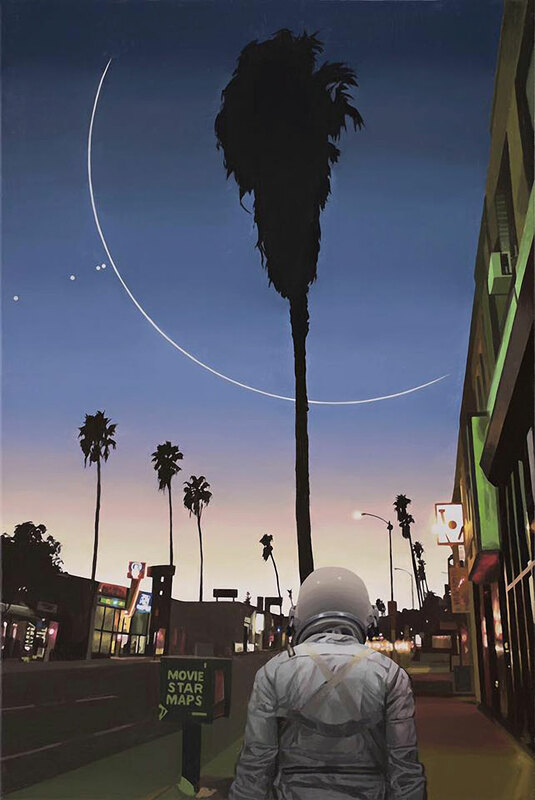 The ongoing series began while watching Stanley Kubrick's 2001: A Space Odyssey at his parents' house and the strangeness of Kubrick's environment intrigued him, as the notion that humans can flow effortlessly through space. 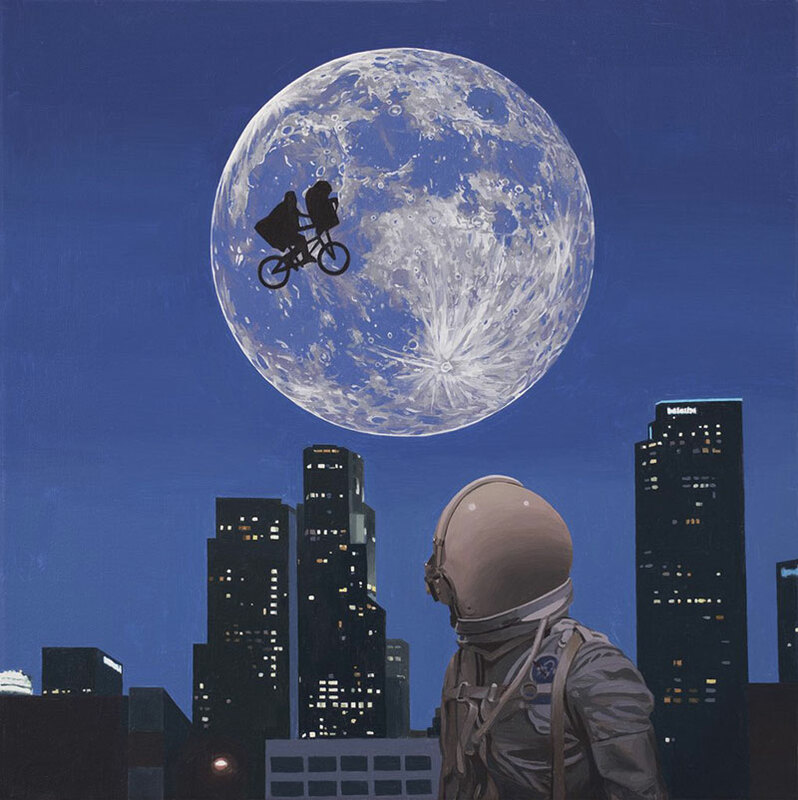 So he invented a helmeted spaceman that occupies every one of his paintings. 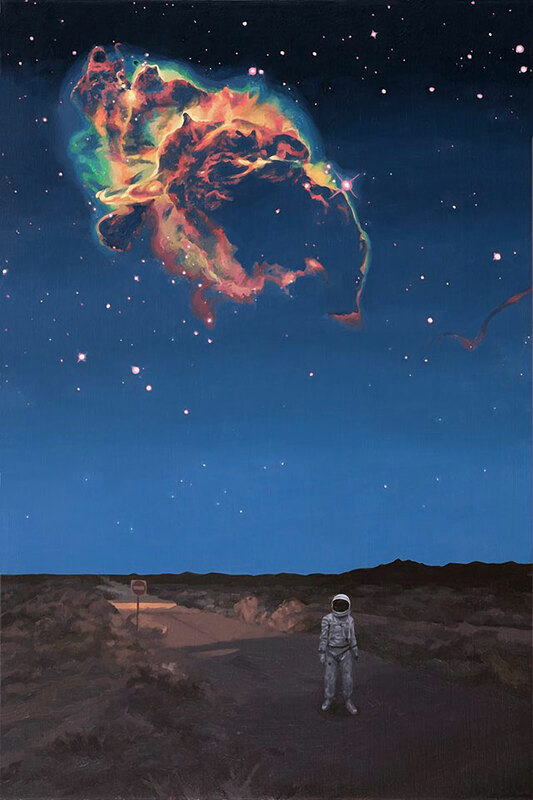 The astronaut knows no limits as he explores the strange things happening around him. 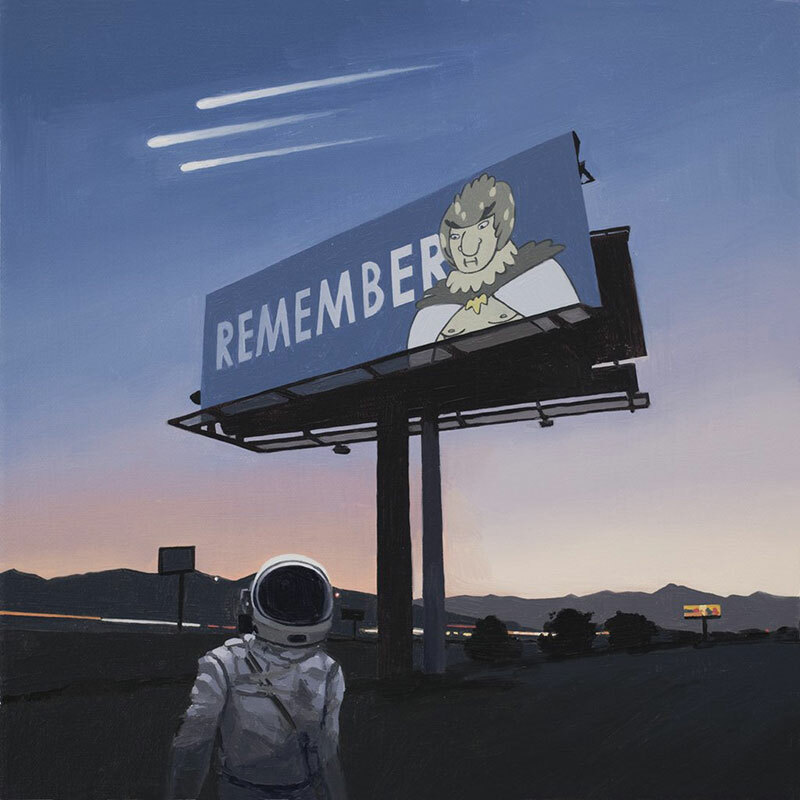 Listfield remains focused on the astronauts journey stating that "as long as there are places for him to go and people for him to see, I'll keep going. 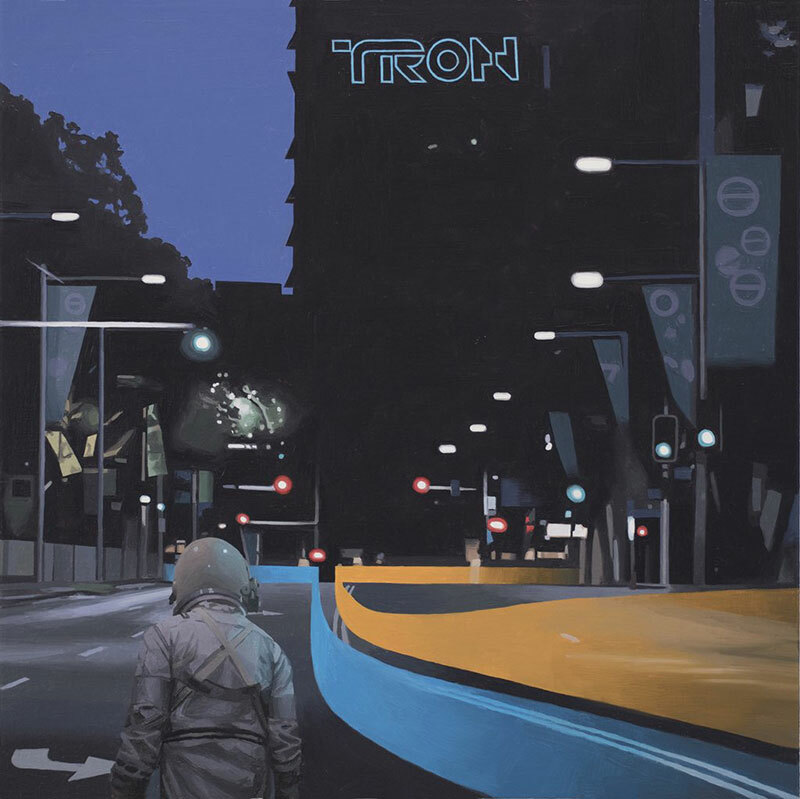 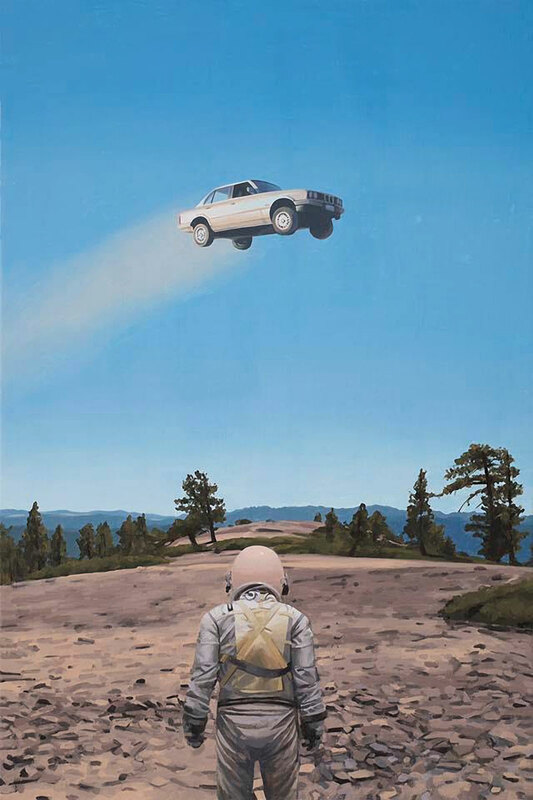 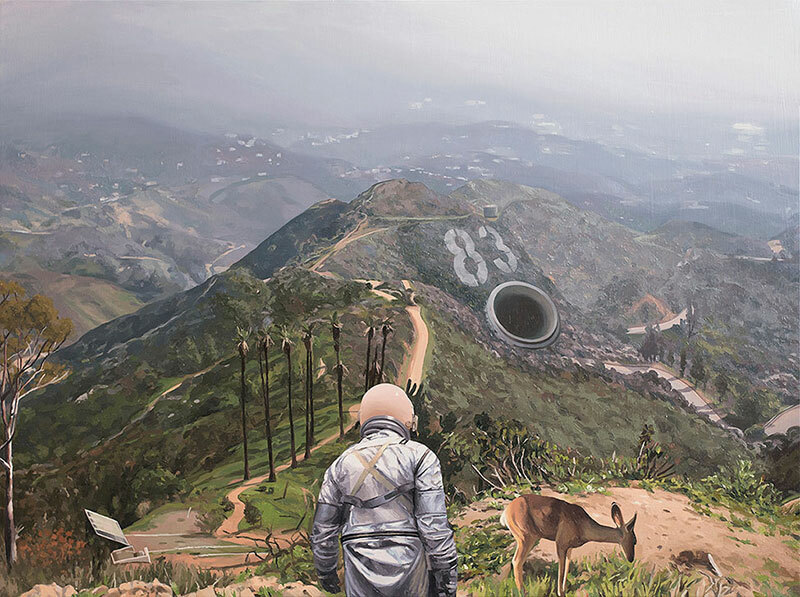 Scott Listfield's paintings are available at Thinkspace gallery. 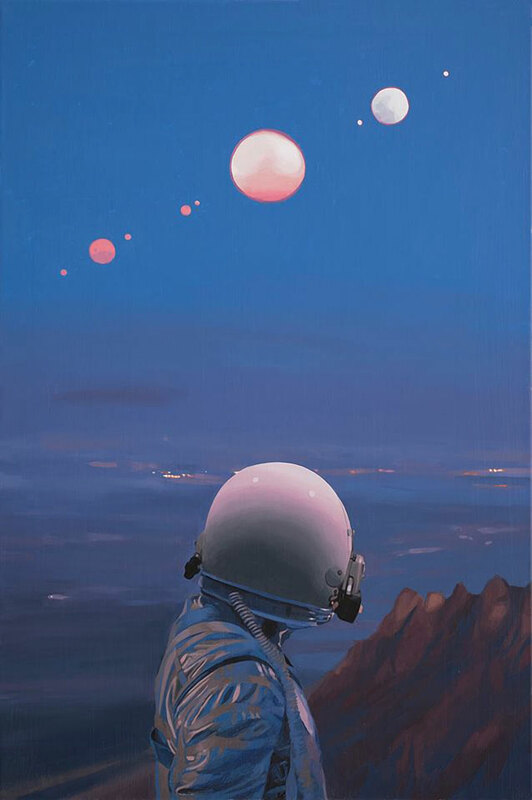 New paintings by artist Scott Listfield of a lone exploratory astronaut lost in a landscape cluttered with pop culture icons, corporate logos, and tongue-in-cheek science fiction references.